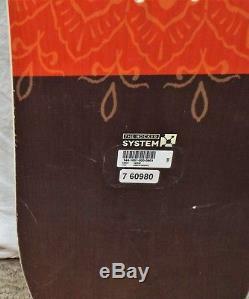 This snowboard is in good condition, has wear from normal use, scratches and a few minor chips to the topsheet, with some repaired scratches to the bases. A great board for a great deal! All Snowboards receive a basic complimentary tune. If you would like to upgrade this service for added performance, check out the links below. Ski & Board Tune Upgrades! Stone Grind & Hot Wax Upgrade. Perfectly suited to the rider who splits her time equally between the park and the rest of the mountain, the Arbor Cadence Snowboard crushes it at both ends. Tough Single Malt Poplar wood core, fully symmetrical Twin Tip rocker and sidecut design, and Arbor s industry-leading, handbuilt in the USA quality mean it's time to find your stroke with the Arbor Cadence Snowboard. The System Rocker This rocker deck's design eliminates the leverage required to release and re-engage a snowboard's outside contact points. In translation, riders get a seamless turn initiation, better float in powder, and more fluid spins and slides. 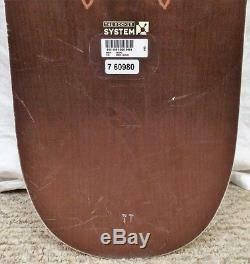 The item "17-18 Arbor Cadence Used Women's Demo Snowboard Size 143cm #760980" is in sale since Monday, July 9, 2018. 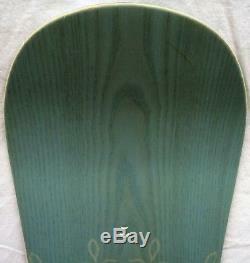 This item is in the category "Sporting Goods\Winter Sports\Snowboarding\Snowboards". The seller is "demo-skis" and is located in Denver, Colorado. This item can be shipped to United States.